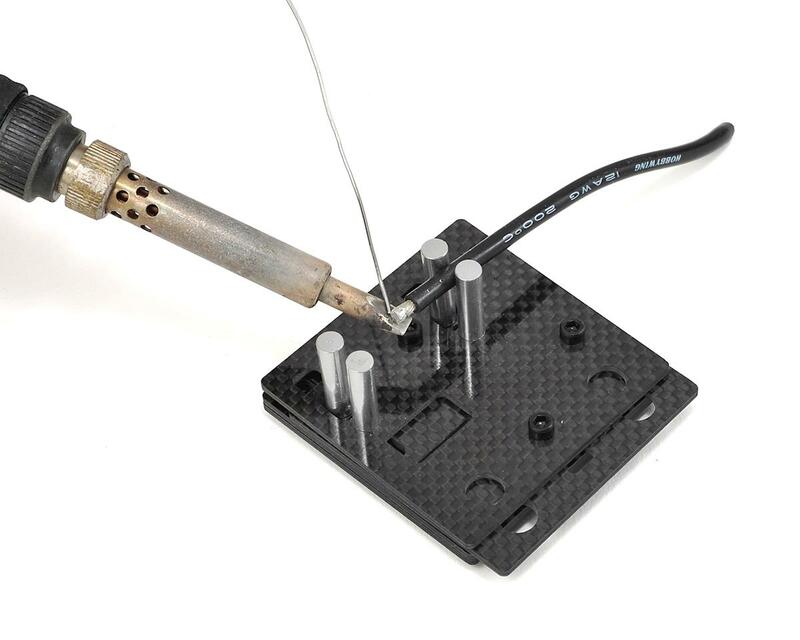 This is the ProTek R/C Carbon Fiber Soldering Jig. 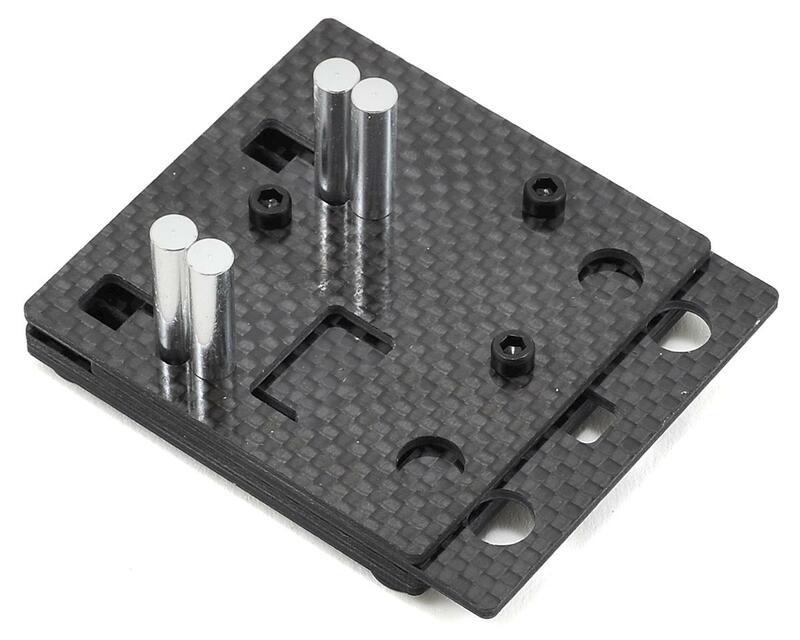 This small and lightweight carbon fiber jig is designed to quickly and easily hold your wires, Deans, XT60 and bullet connectors to make convenient work of your soldering needs. Featuring a spring loading sliding movement, the jig opens up when compressed allowing you to insert your wires or connectors. When compression is released, the spring loaded bottom plate pulls back with clamping force, providing a secure hold while you work. The jig features a rectangular 17x10mm slot that securely fits Deans/T-Style and XT60 sized connectors, as well as two 8mm holes to fit the bullet connector of your choice. If you just need to solder or tin wires, the vertical posts open up to 10mm providing plenty of space for a variety of wire AWG's. To keep the jig planted, four rubber feet on the bottom keep it from moving around while you work. 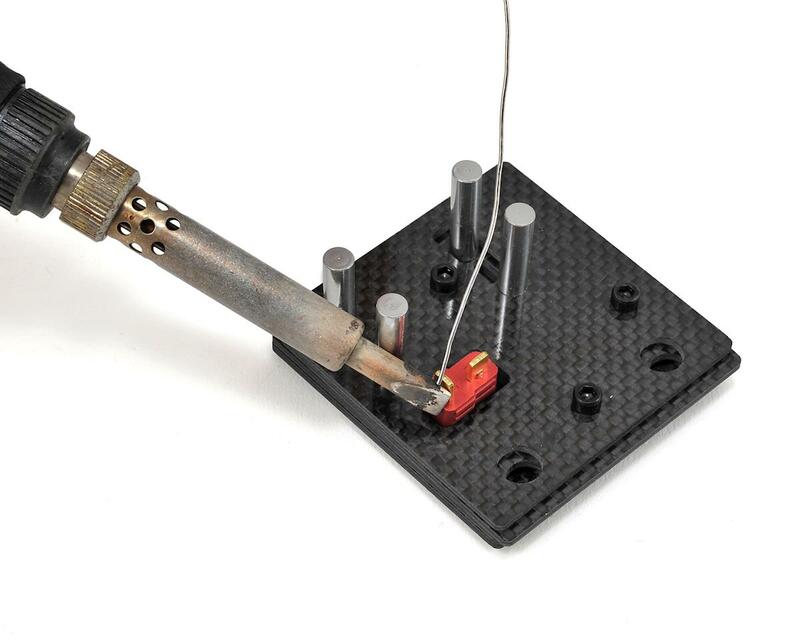 Warning: Carbon Fiber conducts electricity! Never insert two bullet connectors from a battery into the 8mm bullet holes at the same time! Clever little piece. 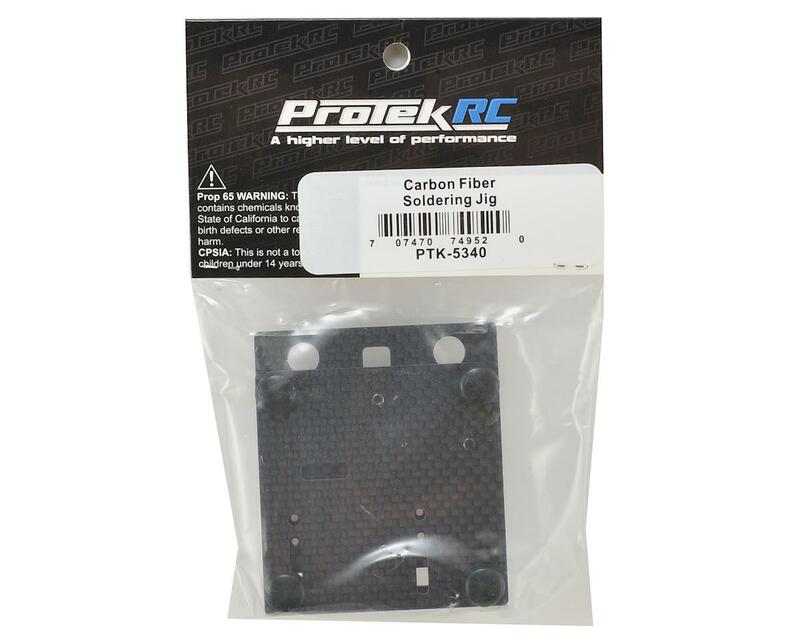 The carbon fiber looks super trick. I have used it to hold both deans and wire while I soldered 4mm bullets. I found it easier than the old "3rd hand" stand. #1 item to have in your pit tools! No more burnt fingers!!! Great little product. So far, has held deans and some other plugs. I use this with the helping hands and if you take your soldering serious and solder a lot, you should have one. Definitely recommend this. Very handy. Good grip on wire and cable. Nice holder for xt60 and bullet connections. Wish it had box cutout for xt90. Better than the roach clip style but that will depend on the gauge of wire you are soldering. Vertical pins screw in or out so they can be tightened when loose. Very disappointment in this tool. One of the aluminum posts had stripped threads in the carbon fiber plate.